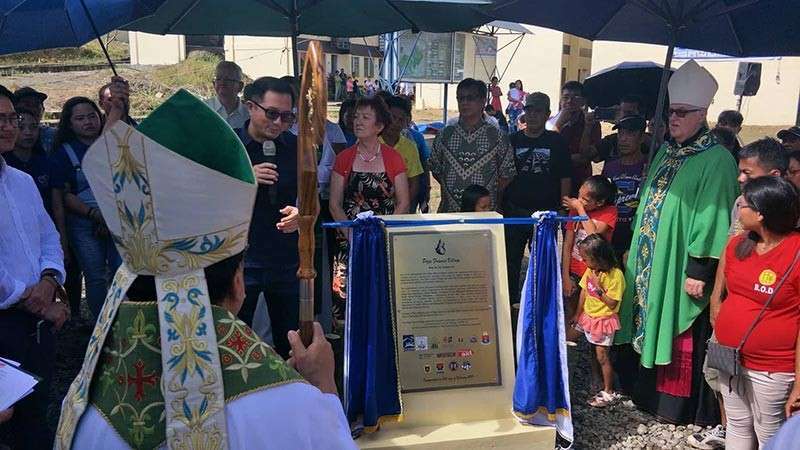 THE Catholic church and Development and Peace/Caritas Canada on Sunday, February 10 led the inauguration and turnover of new housing units at Pope Francis Village to 263 families affected by Super Typhoon Yolanda in Tacloban City. “We’re very excited that we finally have our new houses today. 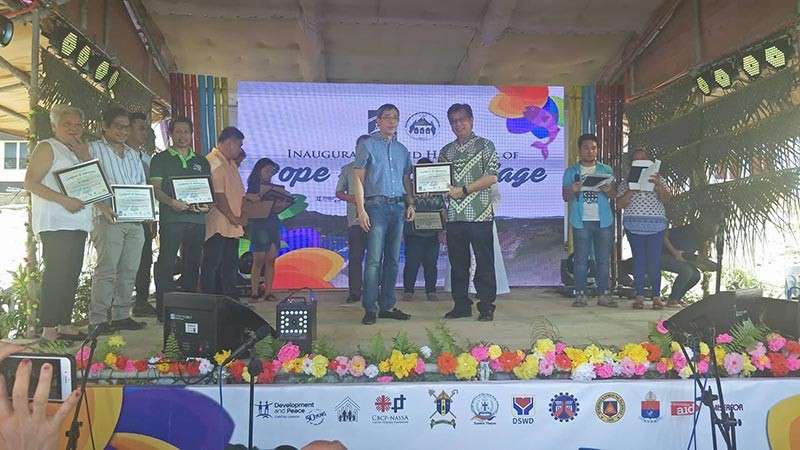 These houses are not only durable but also standard in terms of its size,” said Yolanda Sembrero, one of the recipients. “We’re proud of these housing units because we also helped during its construction. From planning to the buying of housing materials and building the houses, we were part of it,” she added. Sembrero has a family of seven from the coastal area in the city. Pope Francis Village features housing units with a gross floor area of 40 square meters in three models. Each unit costs P300,000, or a total of P169.8 million. “The Pope Francis Village, approximately seven kilometers away from the downtown area, is said to be the nearest and the most resilient in-city resettlement among other housing projects built by church institutions, non-government organizations, government agencies, and the survivors themselves,” said Aida Vidal, project manager. The housing project was constructed through the consortium composed of the Development and Peace/Caritas Canada, National Secretariat for Social Action (NASSA)/Caritas Philippines, Redemptorist Congregation, Urban Poor Associates, and Archdiocese of Palo. The post-Yolanda reconstruction effort is backed by Pope Francis for Resilient and Co-Empowered Sustainable Communities (Francesco) which named the integrated, permanent, people-driven, and in-city resettlement housing project Pope Francis Village in honor of the pontiff’s solidarity visit in Tacloban City in January 2015. 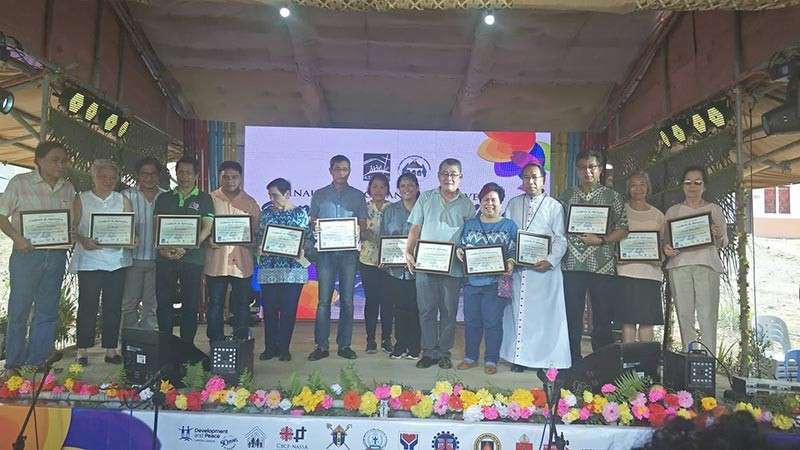 Philip Lumbre, president of the Pope Francis Village Home Owners’ Association, expressed his gratitude to the local, national, and international donors of the housing units. “Finally, my fellow Yolanda survivors are now transferred to their new and durable houses. They now feel safer if there is an incoming typhoon,” said Lumbre, a fisherman. According to Lumbre, the location of the housings units is also ideal for them. “Compared to other relocation sites which are very far, the Pope Francis Village is just within the distance from our source of livelihood. We will only spend roughly P18.00 on our fare if we go fishing. In other relocation sites, they need to spend around P54.00 in order to fish and return to their families,” added Lumbre. The Development and Peace had launched a 47-minute documentary entitled “After the Storm: Building the Pope Francis Village” which chronicled the Yolanda survivors in building their new community. The Catholic church said they spent P3.2 billion as overall Caritas response, benefitting 1.4 million victims of the 2013 Super Typhoon Yolanda. “From the record, we’re able to construct more than 30, 000 houses for Yolanda survivors. This is very significant compared to the accomplishment made by the government. And this is not only in terms of numbers but also in terms of the quality,” said Fr. Edwin Gariguez, executive secretary of NASSA/Caritas Philippines, the humanitarian, development, and advocacy arm of the Catholic Bishops' Conference of the Philippines (CBCP). “In 2013, we at Caritas Philippines didn’t even think that we’ll be capable of implementing what would be the Church’s most massive, largest-funded and most comprehensive humanitarian response,” he added. The construction of 33,253 housing units per Caritas members includes NASSA/Caritas Philippines (7,373), Catholic Relief Service (20,000), Development and Peace/Caritas Canada (1,550), Caritas Switzerland (1,080), Caritas Austria (2,000), Caritas Germany (250), Caritas Belgium (300), Caritas Italiana (500), and Cordaid (200).